One of my favorite themes for holiday cards is Peace. In the bustle and chaos of the holidays, I think it's important to step back from it all and find peace ... both inner peace and world peace. 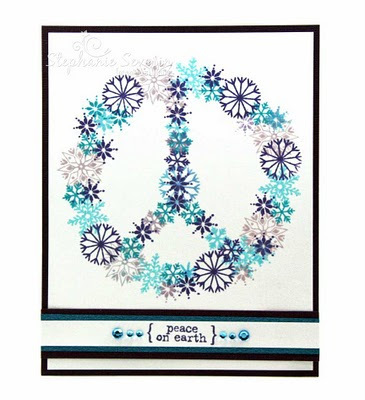 So our prompt for this week's card is to incorporate a Peace Symbol or the word Peace into your design ... or create a card that evokes Peace for you (snow, forest, etc.). Stef says, "When I saw this "Christmas Peace Sign" t-shirt, I wanted to try and replicate a similar design using rubber stamps. I started by using pencil & a roll of tape to draw a light circle on white cardstock. 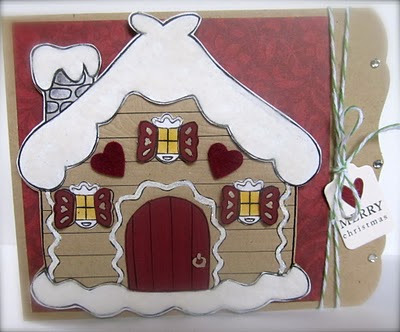 Next, I gathered-up multiple small snowflake stamps from Hero Arts Holiday Cheer and Snowflakes sets and four colors of Distress Ink. I started with the larger snowflakes and then filled-in with the smaller ones. I finished with a favorite sentiment from CatsLife Press." 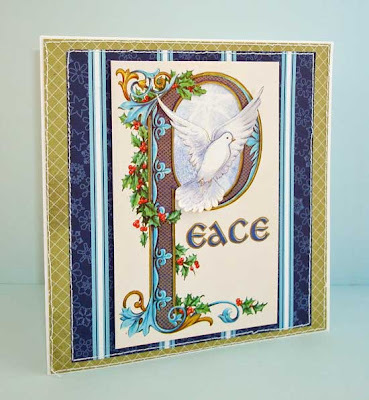 Lauren says, "i started with this beautiful representation of the word "PEACE" from a vintage christmas card... (you can't really tell in the photo, but the gold bits are gilded and the whole thing is beautifully embossed!) ...i cut out the center of the letter "P" to fit in the dove, which i fussy cut from a different vintage card. then i became a little bit stumped because everything i tried to add in the way of embellishments just seemed like too much! eventually, i realized that was a sign i should just keep it simple with a couple of mats and a little decorative stitching." So this week, find your inner peace, and channel it into a peace-themed design ... can't wait to see what you create. 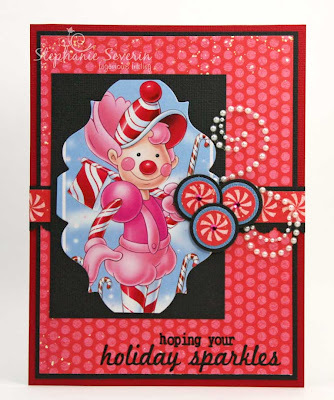 Link-up your cards by 6pm EST on Wednesday, October 5th. Use keyword JB40 if you upload to our Flickr Gallery or other Galleries. 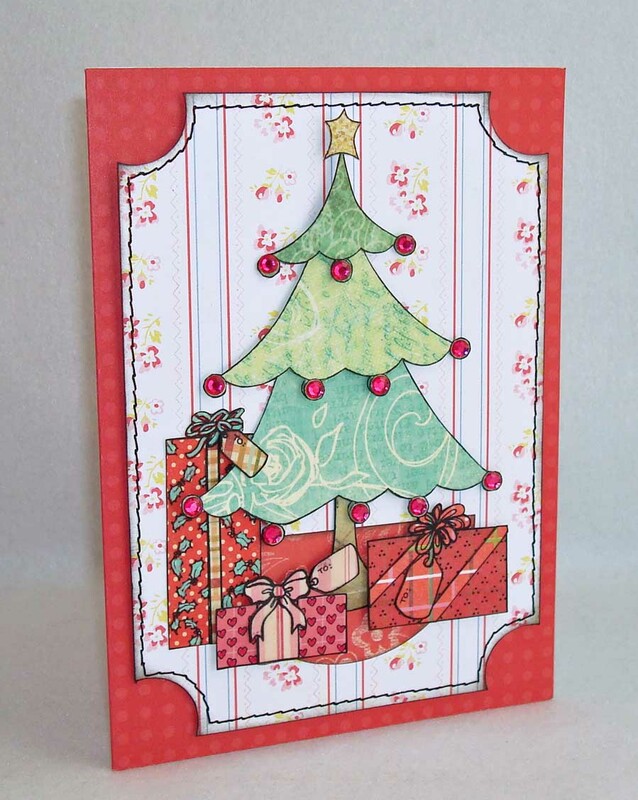 Marie says, "Noelle's card is just plain FAB, but there is nothing "plain" about it, to be sure! So much shimmer, and the shape and stamp are gorgeous!" 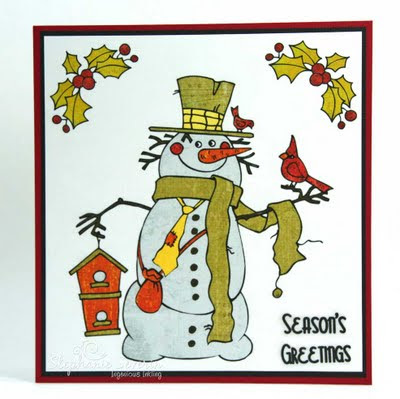 Marie says, "Lorraine's card is just so darn clever!!! I mean using all those smaller snowflakes to make one large snowflake?? WOW!" if you have not yet perused the SUZY SNOWFLAKE gallery, may we recommend a bit of a scroll downwards? you might like to take some hot cocoa with you, as there are quiiiiiiiite a few cards this week and absolutely all of them have a delightfully frosty feeling! once again hearty thanks to our lovely guest star, marie bingaman, for coming along with such a wonderful song to inspire us... a gorgeous card to set us in the right direction... and her enthusiastic presence all week, we could not have done it without her! so this week we invite you to make a holiday card that captures any part of suzy snowflake which inspires you: snowflakes, wintery landscapes, snowmen, sledding, sleigh rides... go as wild or as tame as you'd like, just have fun with it! Marie says, "Even though the song is called "Suzy Snowflake", this is actually "Lenny" snowflake, lol. 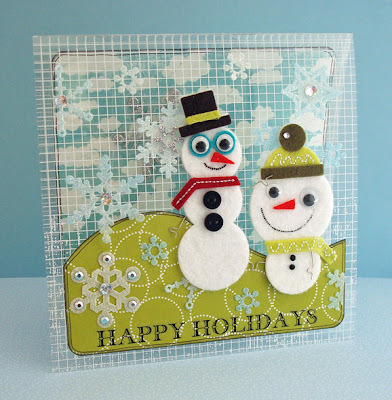 I knew right away that I wanted to use one of these glittery snowflake ornaments from the dollar store, and this adorable Lenny image from StampFairy just seemed to fit the bill! 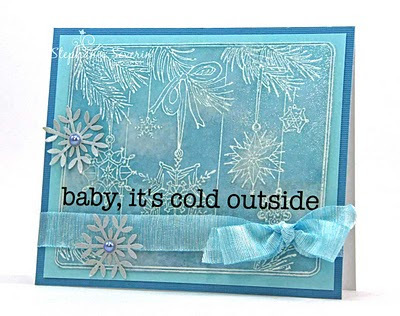 Nothing extra special technique-wise on this card, just some good ole' dry embossing, coloring, and Stickles!" Lauren says, "i was pleasantly surprised to find a christmas song from the 1950's that i did not know, and it made me think of all the other rosemary clooney songs from that era i already love, especially from the film "white christmas" so i found myself inspired by the "vintage" aspect. i printed the sheet music on some off-white paper and further distressed it for as much authenticity as possible. a google search got me a wide choice for my focal point and i settled on this cool sled image that i cropped into a circle. my "snowfall" is part of a pack of glittery silver snowflakes by k&co interspersed with red heart shaped gems. i love this one, it really captures the feeling i had when i heard the song!" 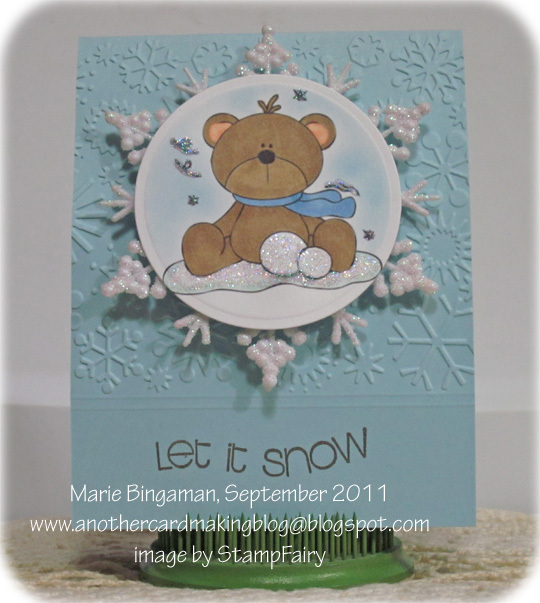 Stef says, "I used an all-out snowflake theme for my card. My snowflake ornament image was stamped in Versamark on white glossy cardstock, clear embossed, and then sponged with blue & purple distress inks before adding spritzes of Sparkle Shimmer Spray for all-over sparkle. The sketch is this week's Sassy Lil' Sketches. 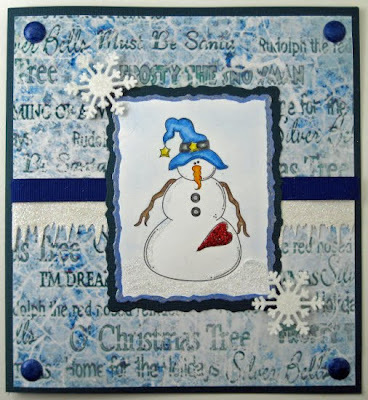 I finished with a wrap of blue ribbon, SRM Sticker sentiment, and several silver snowflakes with pearls." 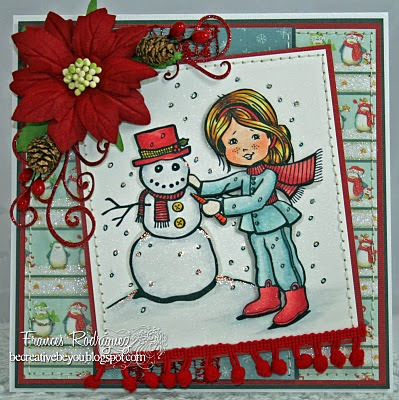 and now it's your turn to be inspired in any way, by any feature or aspect of suzy snowflake! 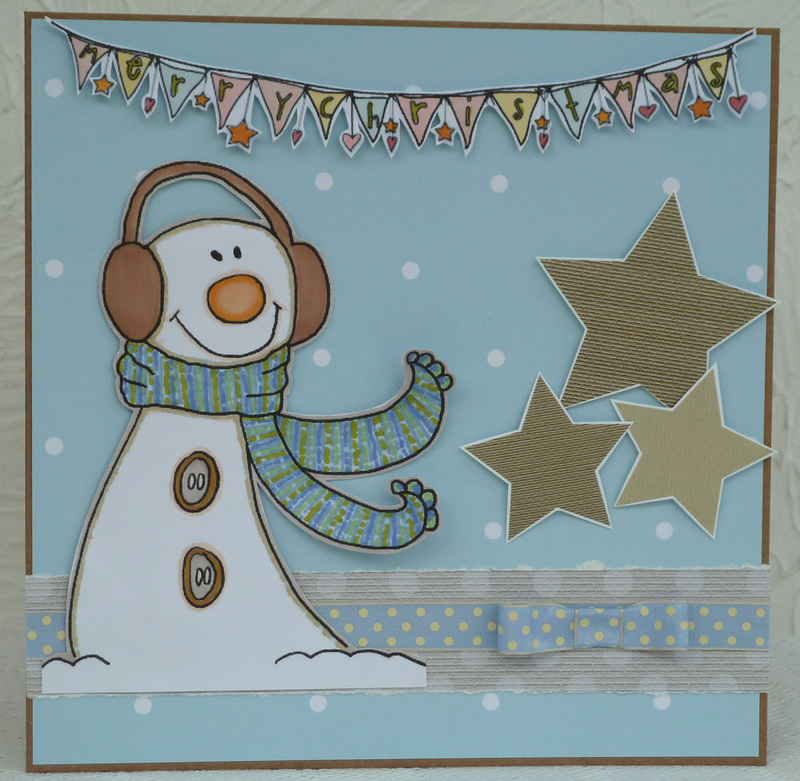 link up your wintery masterpieces by 6pm (EST) next wednesday, september 28th. keyword for galleries or our flickr group is JB39. we can't wait to see what you will do! It was so fun to see all of the different dazzling digital designs this week ... lots of fabulous holiday cards. A huge THANK YOU to our sponsor Robyn's Fetish Digital Stamps and More! for the awesome free digital image & this week's prize package. created a unified design by using a digital image for her background & then a larger version for her focal point. used a digital image for the FIRST time ... and rocked it. She added wood grain texture and three layers of color ... what fun. 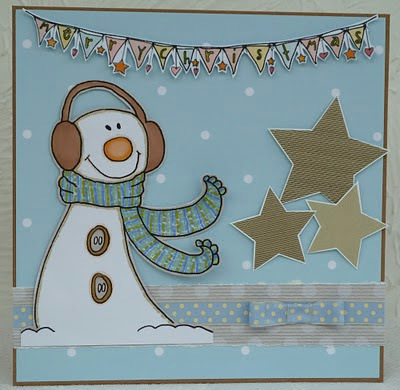 used digital stamps, embellishments, papers ... and lots of fabulous detail cutting ... for this winter masterpiece. And the winner of this week's prize from Robyn's Fetish Digital Stamps and More! 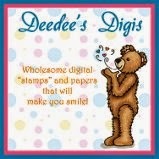 ... 5 digital stamps or 4 digital stamps and 1 paper pack. Frances, please e-mail us, so we can get you information on how to claim your goodies. Make sure you check back at midnight for another fun prompt with another fantastic lovely guest star. This week at Jingle Belles we're going digital. We'd like you to create a card incorporating at least one digital stamp or element in your card design. "Robyn's Fetish Digital Stamps And More is proud to sponsor this challenge. 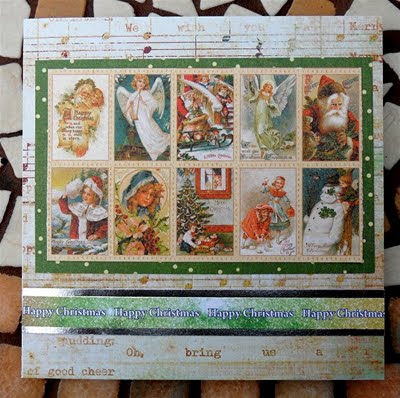 At the end of this challenge, Robyn's Fetish Digital Stamps And More will be happy to award one randomly selected Jingle Belles card-maker her choice of either 5 digital stamps or 4 digital stamps and 1 paper pack." That's right--there's a prize! It doesn't get much better than that, right? Well, actually, it does: in addition, Robyn's Fetish is very generously offering all Jingle Belles who'd like it, a free digital stamp of... what else? ...a Christmas Bell (aka Jingle Bell) ...to use on your card this week. 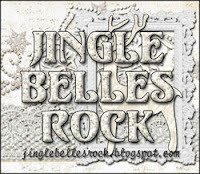 All you have to do is e-mail susan_paulson@verizon.net and request your free Jingle Belles Digital Image. We're thrilled they're offering this opportunity for everyone to try a digital stamp. 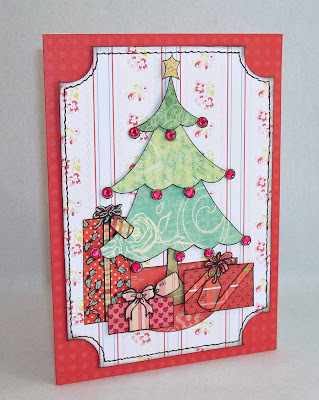 And we're also thrilled that the very talented Susan Paulson, (aka The Stampin' Kat) coordinator of the Robyn's Fetish Design Team, is guest designing with Jingle Belles this week. Robyn's Fetish Digital also graciously provided Lauren & I with digital stamps that we used for our cards this week. Stef says, "My favorite technique to use with digital images is digital paper piecing (here's a link to my prior tutorial, which also links to Kristina's video tutorial ... and here's a link to another tutorial from Allison). I have quite a collection of digital papers, so I just paper-pieced my image together on the computer and printed out the finished colored project that is ready to go on a card. I just added an EAD Designs Stickerz sentiment to finish ... and the great thing about it is that once I've taken the time to do it, I can print out as many copies as I want." Lauren says, "i paper-pieced too, but i went old school--with a new twist: i filled an 8.5 x 11" clear inkjet label from the office supply store with as many copies of my digi stamps as would fit... (about 3 trees & 5 or 6 of each present) ...then cut the images apart roughly and stuck them to the individual patterned papers i wanted to use, before cutting out neatly around each outline. 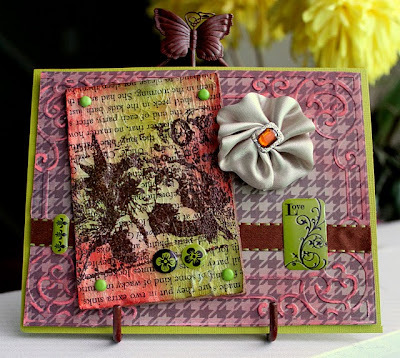 this let me raid my "scraps" file and use up some teeeeeeeeny leftovers, while giving lots of variety of color and pattern to my design! 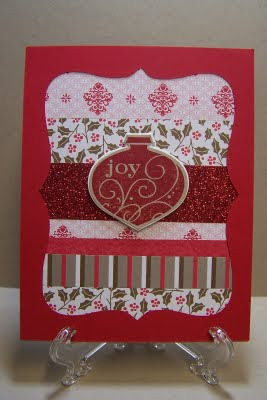 admittedly it's more fussy-cutting involved than i'd be willing to do EVERY week, but i love how this card came out!" So now it's your turn to go Hybrid ... or all-out-Digital if you're brave. We hope you'll take advantage of the free stamp in your design ... and take some time to browse through the other wonderful Digital Stamps at Robyn's Fetish Digital Stamps... afterall, you'll need to be ready to choose your prize if you're the lucky winner! While you're exploring, you might like to also check out their blog, The Robyn's Nest where their rockin' design team shows off new designs, and hosts a weekly challenge of their own... often with "freebies" for the participants! 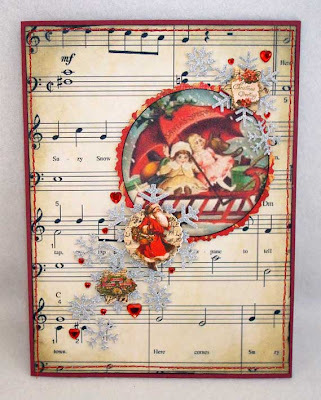 This week's theme is "Anything Goes" so if you use the "Christmas Bell" stamp above and submit your card by tomorrow (Saturday) afternoon, you can link up in both places! Inlinkz will be open until next Wednesday, September 21st at 6pm (EST). Keyword for galleries or our flickr group is JB38. it's been another banner week ♥JINGLE BELLES♥ in which you've proven once again that there is *no* curveball we can throw that won't elicit home runs all round! absolute GORGEOUSNESS in the deck the halls gallery... do give yourself the treat of scrolling down! Sue says, "Adorable, whimsical, magical FUN! I especially love the stitched tab and toothpick flag. The colors rock, too..."
Sue says, "I am always in awe of people who can pull off "techniques" with such great results, plus pink and green always makes us happy, right?" Sue says, "I'm a total sucker for vintage images, and polka dots, and lace trim, and square cards, and clean layouts, and...'nuff said?" once again we enthusiastically thank all who participated, and bestow an extra-helping of our admiration and gratitude upon miss sue for coming along to hang out this week, it was pure pleasure for us! if you need a little blog-based treat be sure to check out random on purpose, which is also the home of sue's fabulous digi-stamps... just click the random bliss tab! "My first thought was playing cards, but it somehow seemed sacrilegious to incorporate something so closely identified with gambling (sinful!) 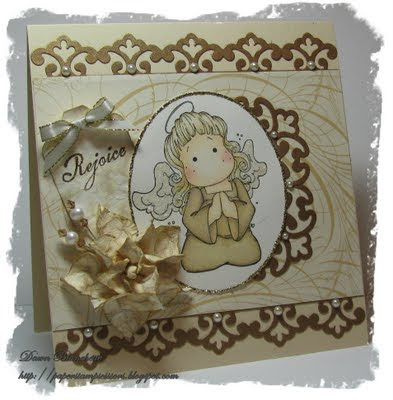 with a holy day, so then I though maybe ATC cards - the cards themselves, or add one to a card front." one!) 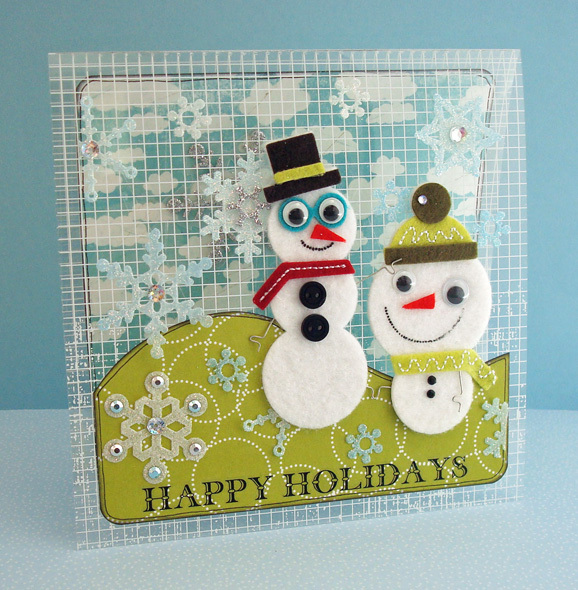 on your (newly made) holiday card! 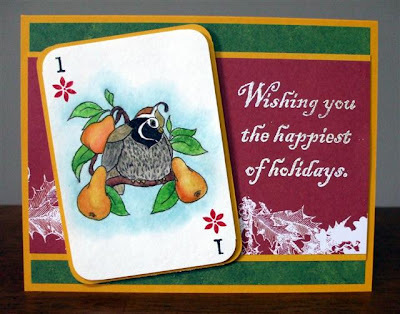 Sue says, "I've been sketching playing-card-sized "Twelve Days of Christmas" (you know - a partridge, two turtle doves, five gold rings, etc...) and I used one of the cards from that deck - the "Partridge in a Pear Tree", obviously. I painted it with inks from my inkpads "smooshed" onto an acrylic block. 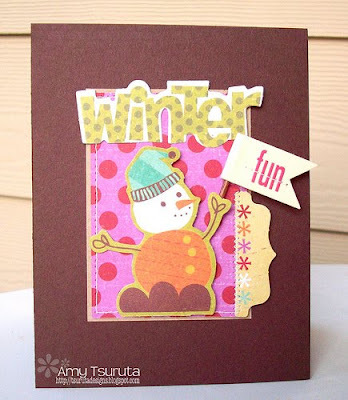 Since I kind of wanted it to take center stage, I kept the rest of the card simple." Stef says, "When I go to yard sales or thrift stores, I always look for Board Games ... not to play, but for the cards & game pieces to add to my paper creations stash. This card features a die cut game card from Candy Land (which I believe was a gift from Lauren). It was perfect with some Echo Park Paper (including punched peppermint candy embellishments) and a Cardabilities Sketch." 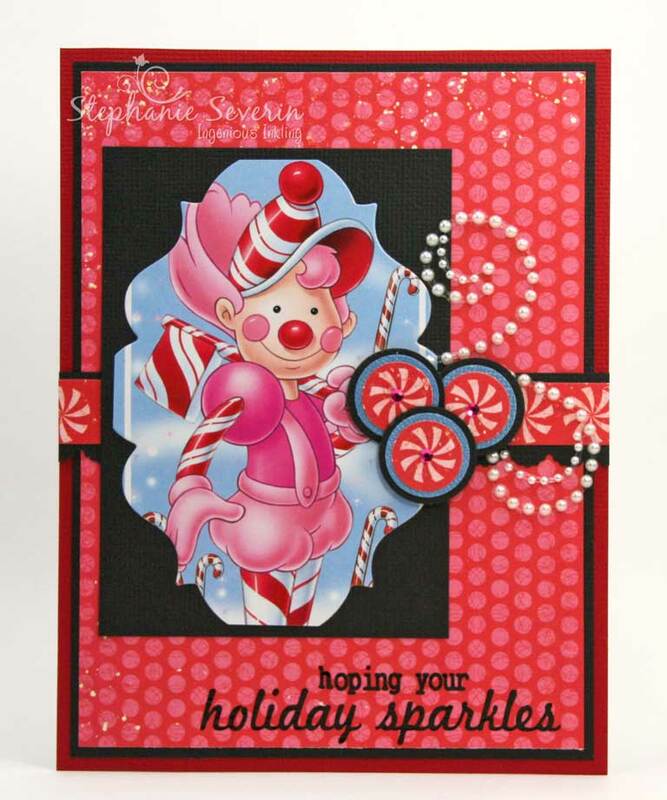 PS ~ they're also celebrating "Card Play" at the Moxie Fab World Blog this week, so depending on which idea you use, you might be able to link your card up there as well. kept the snowflakes-on-kraft background, scalloped frame and striking "tall card" design when she lifted tesa b's fabulous snowman card, but substituted a happy santa in her charming design! 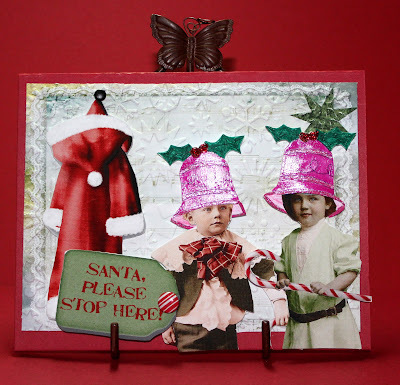 expanded and amplified the sweet vintage images of stef's jolly old st. nicholas card to make this glimmering show-stopper! CASED her own card from the "tag along" challenge in june, making a strikingly elegant plum version that's got a totally different--but equally fabulous--vibe from the original! as always we encourage you to check out the gallery if you haven't yet. the new prompt--with an especially lovely guest star--debuts at midnight! see you then! Since this weekend will be Labor Day in the United States, we've decided to celebrate by giving you a bit of a head start with this week's card. We're asking you to CASE (Copy And Selectively Edit) any other Jingle Belles card ... by which we mean any of our cards OR any of your fellow Belles' cards made for any prompt since our inception in January is fair game ... you might even want to CASE a card that you made! Be sure to tell us what card inspired you--and who made it--in your post, so we can all admire *both* versions! 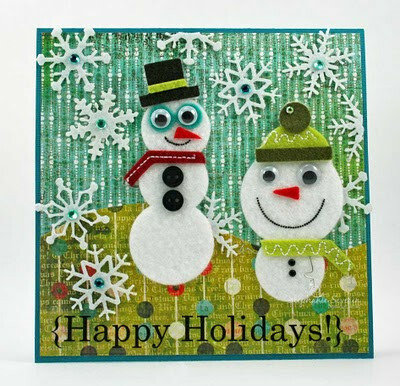 I loved Kathe D's card that was a Shout Out for JB28 - our Leftovers Challenge. I changed-up the papers to use my own leftover Basic Grey Fruitcake Paper scraps. Rather than use the negative of the die cut as a frame, I attached my scraps to cardstock & cut out the shape with the Top Note Die Cut. I also swapped the ornament for a CatsLife Press Sentiment & added a bit of pom pom fringe. So much so that I immediately went out and bought the Basic Grey "woolies" she used! In retrospect, I wish I had also grabbed the "Jovial" papers, but alas, I did not, so I had to wing it and use non-holiday papers in similar tones to construct my landscape. 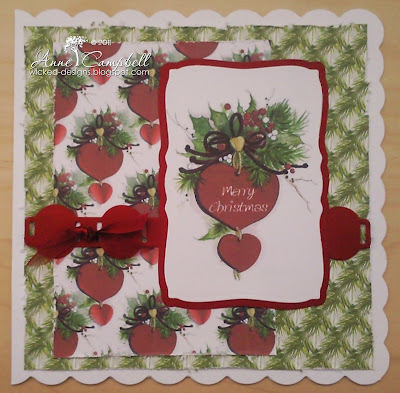 The only major change I made was to build my card on a transparency base to give it a little extra"oomph" that hopefully comes close to matching the graphic impact of the original's fabulously festive patterns! Wherever you are spending this weekend, and whether it is of the two- or three-day variety, we hope that it will be a very happy, safe, and creative one for you, and that you will take inspiration from all of the marvelous cards we have seen in the last eight months! Inlinkz will be open until 6pm (EST) next Wednesday, September 7th. The keyword for galleries and our flickr group is JB36. 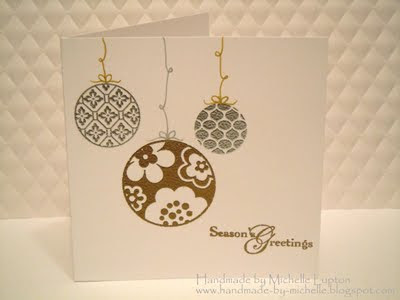 leslie says, "I really liked the simplicity of the embossed ornaments (which are cleverly "re-purposed" circle stamps) on the neutral background. She got in both gold & silver, and I just really liked it!" leslie says, "I liked all the gold touches, and especially that she dug into her jewelry stash to make her own stick/hat pins. And that home-made flower WITH a tutorial! Just a great card all-around." 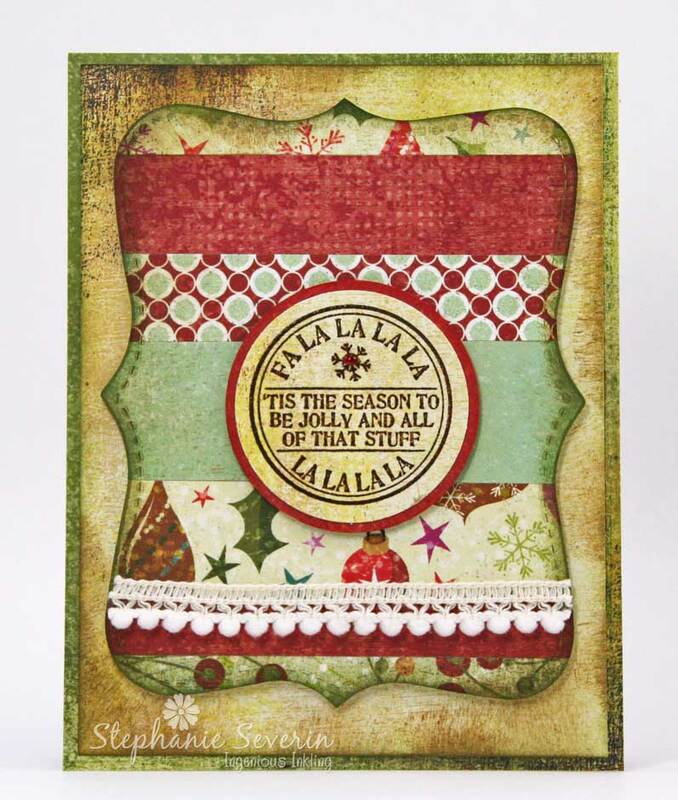 as per usual we thank everyone who devoted a slice of their precious creative time this week to "JINGLING" with us. if you've not yet perused the gallery, we highly recommend scrolling down for an especially nice treat! many thanks to the lovely leslie of the crooked stamper for joining us with another brilliant (in every sense!) prompt idea this week. be sure to check out her blog (at any time) and shopping our stash (each tuesday) for more creative inspiration!